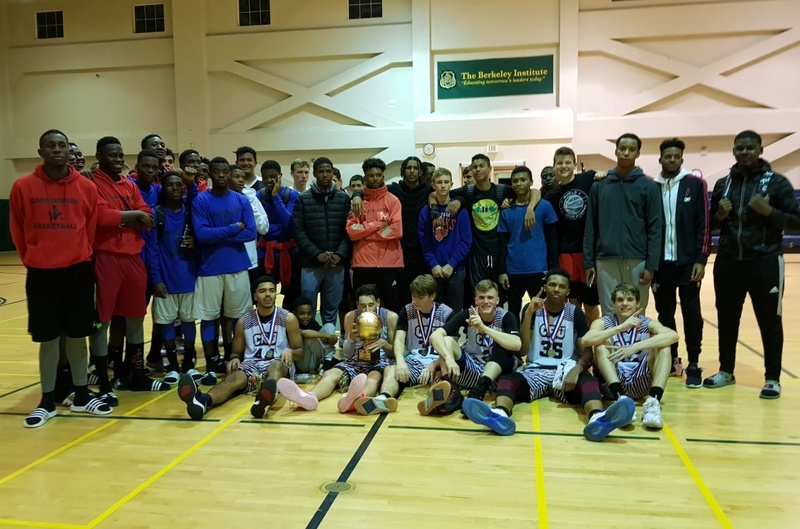 The Bermuda Thanksgiving Basketball Classic continued at the Berkeley Institute Gymnasium. In the opener on the day, Camperdown High School defeated Wolfpack Bermuda 58 – 47. Tyrece Thompson led the Camperdown High School with 14 points, while Kobe Reid scored 17 points for Wolfpack Bermuda. Game Two on the day saw Crossroads Christian continue their dominance with a 84 – 50 win over Boca Raton Christian. Crossroads Christian were led to victory by Julian who had 22 points, while Jordan Reed scored 13 points for Boca Raton Christian. In the third and fourth place game Camperdown High School defeated the Wolfpack Bermuda team 75 – 68. Jadeja Mcarmack led the Camperdown High School in the scoring department with 15 points, while Christian Liyange scored 19 points for the Wolfpack Bermuda team. In the final the Crossroads Christian defeated Illinois Boca Raton Christian 83 – 46 to be crowned the champions. DJ Ellis would lead the Crossroads Christian to the title scoring a game high 25 points, while Brendon Briglo scored 19 points for the Illinois Boca Raton Christian team.